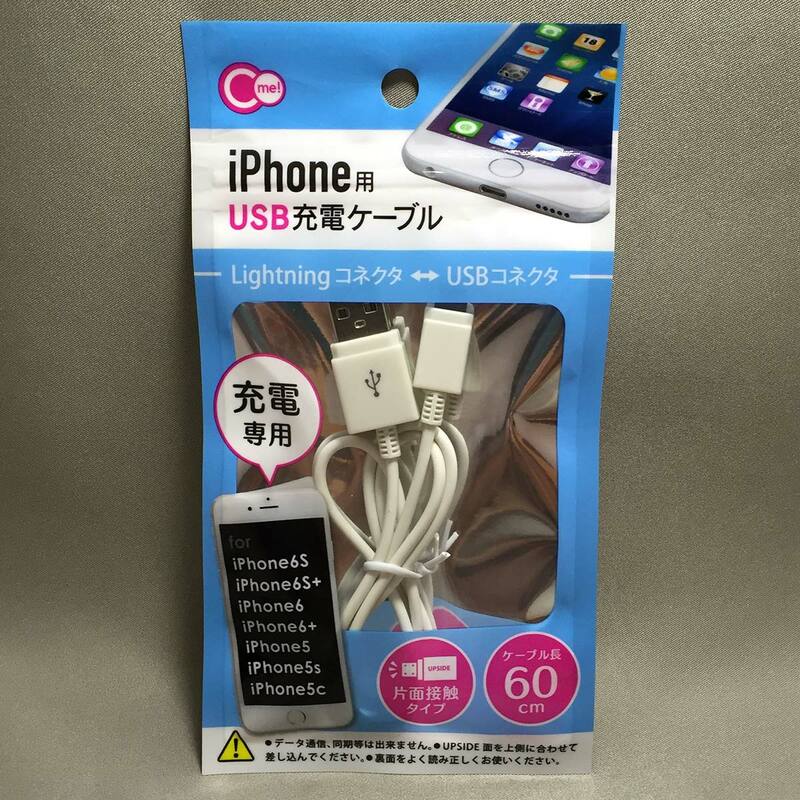 In an earlier post, I wrote about a dirt cheap iPhone 6 compatible charging cable from Daiso. 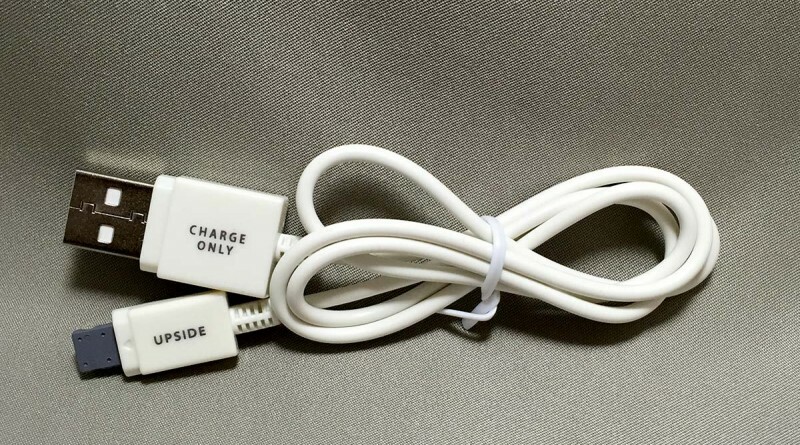 The cable is non-reversible and only does charging. 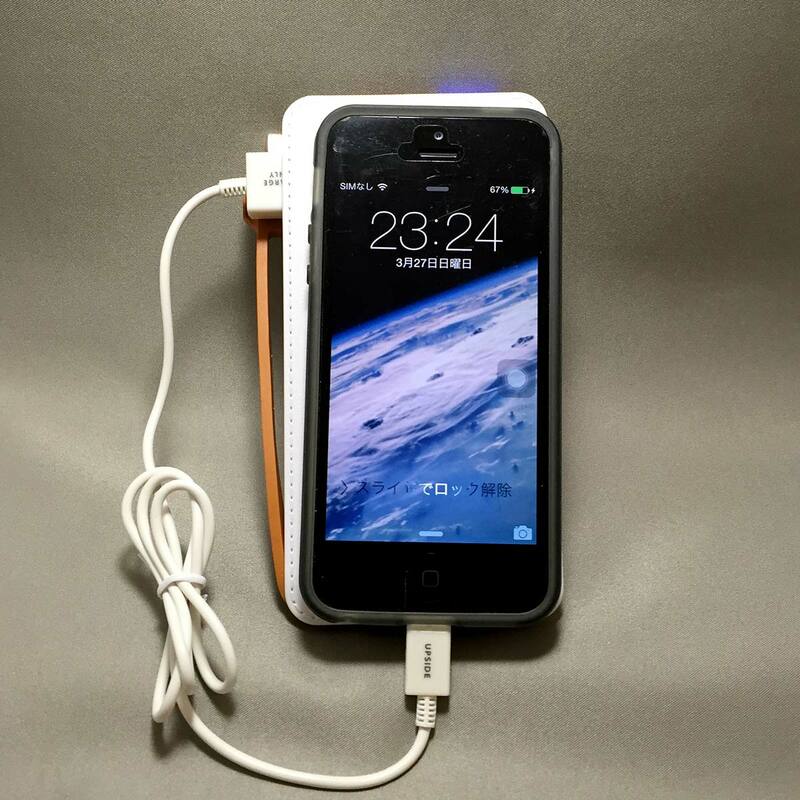 Well, Can★Do also has a cable for the iPhone, which also does charging too! 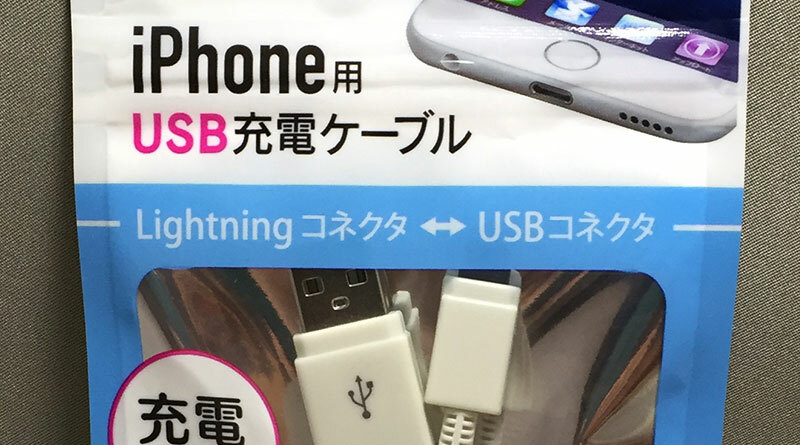 Either way, the USB charging cable is only 100 yen! 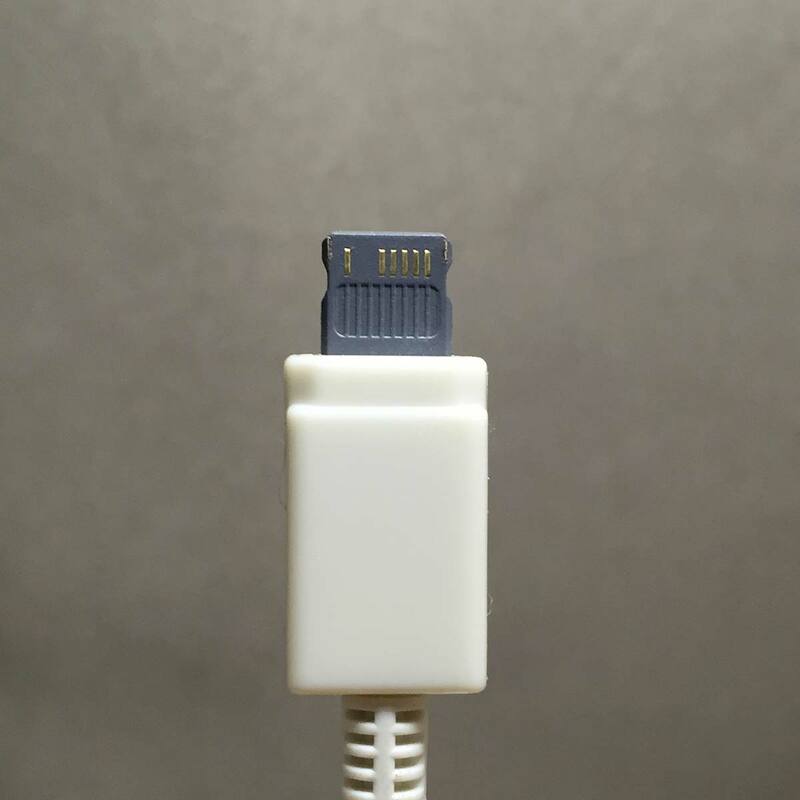 As with the Daiso charging cable, Lightning cables that are Apple certified and allow both charging and data transfer costs many times more as the manufacturers have to pay Apple for the licensing. 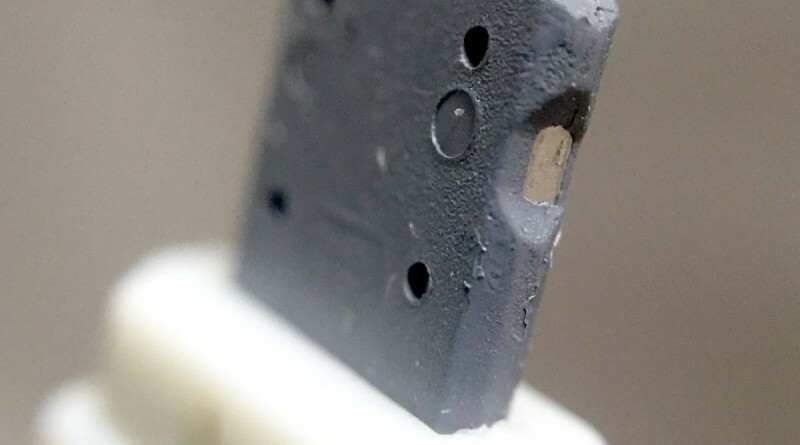 To avoid the licensing issue, the cable producers made the cable charging only. 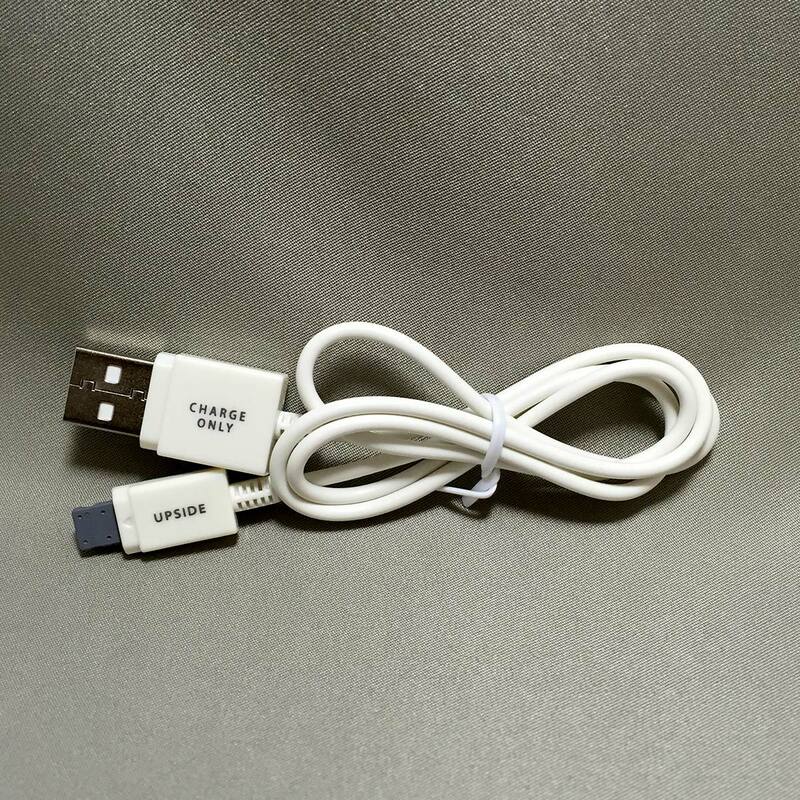 So the iPhone USB Charging Cable from Can★Do is also not Apple MFi certified. 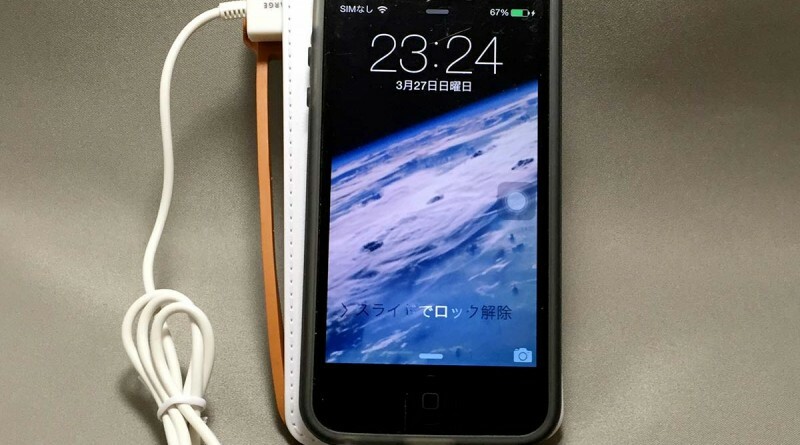 I have included a photo of an iPhone 5 being charged by the charging cable. 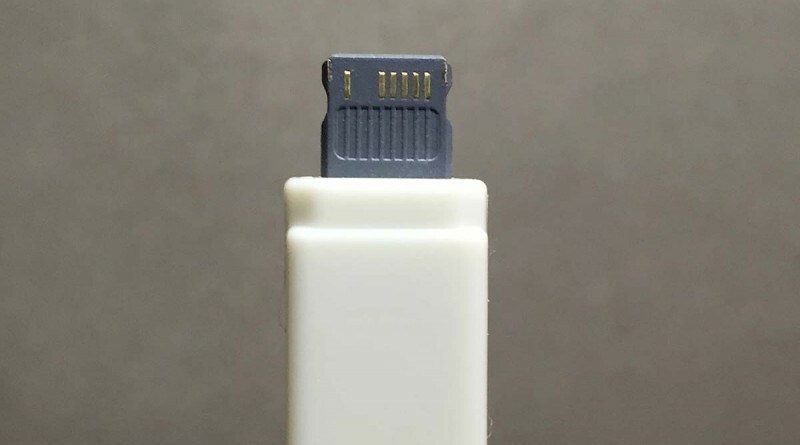 The only precaution needed is the lightning cable head is not reversible, so it can only be plugged in one way. 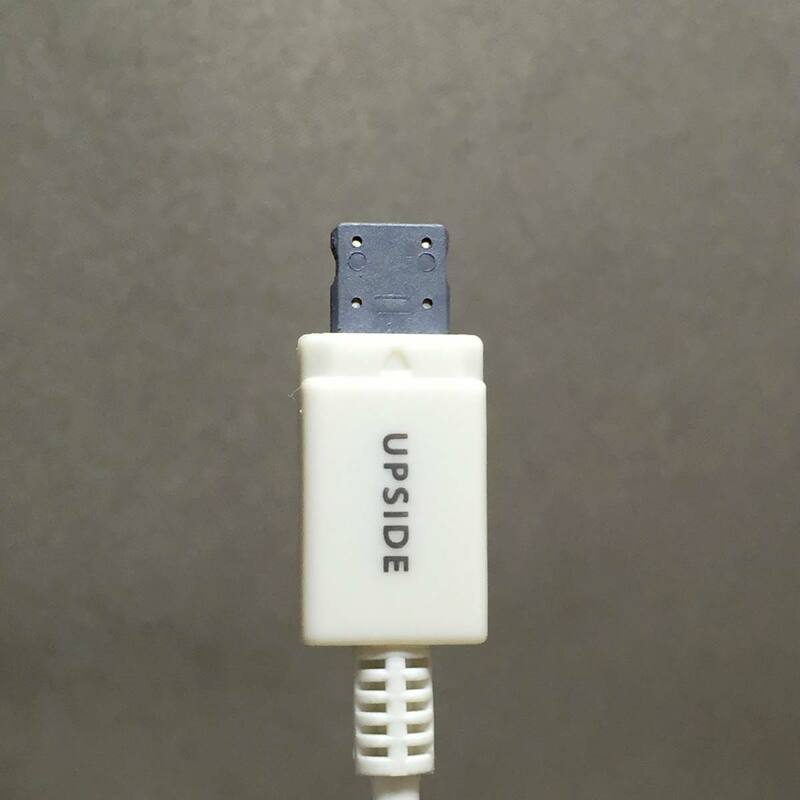 The cable tip has one side printed ‘UPSIDE’ to avoid confusion. Use the official Apple iPhone power adapter or compatible power adapter rated at 1.5A or below. 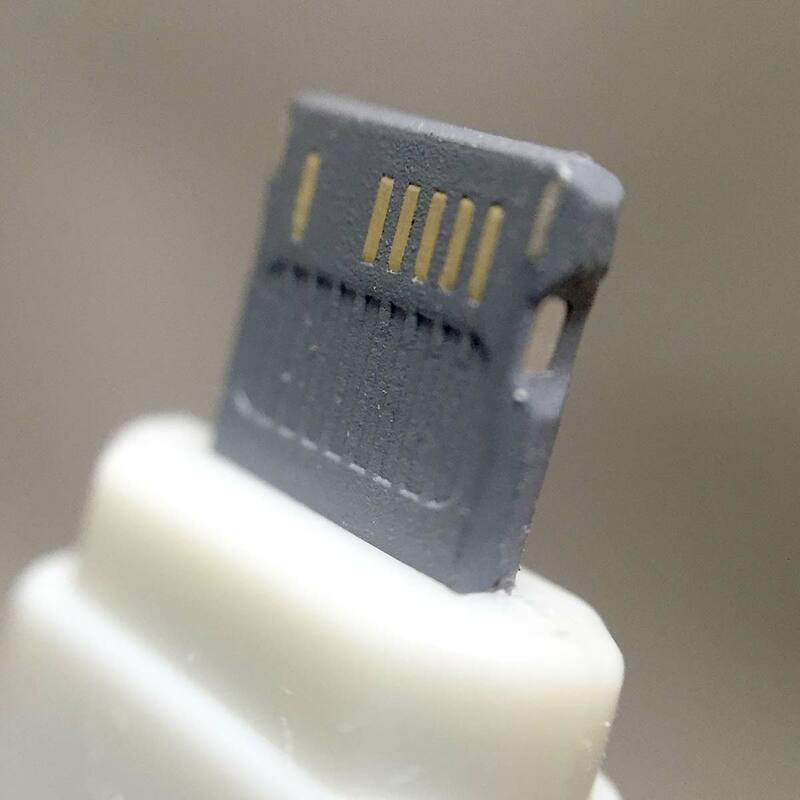 For charging, connect to the USB port of a computer, AC Adapter, portable external battery or DC power adapter. 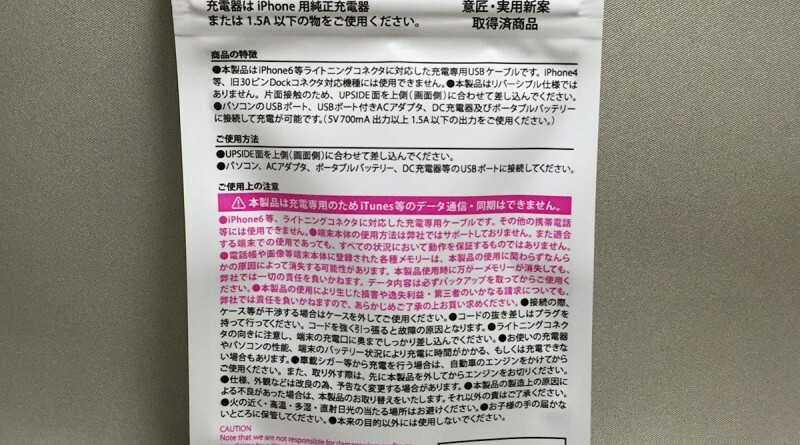 Charging cable has been tested on iOS 9. 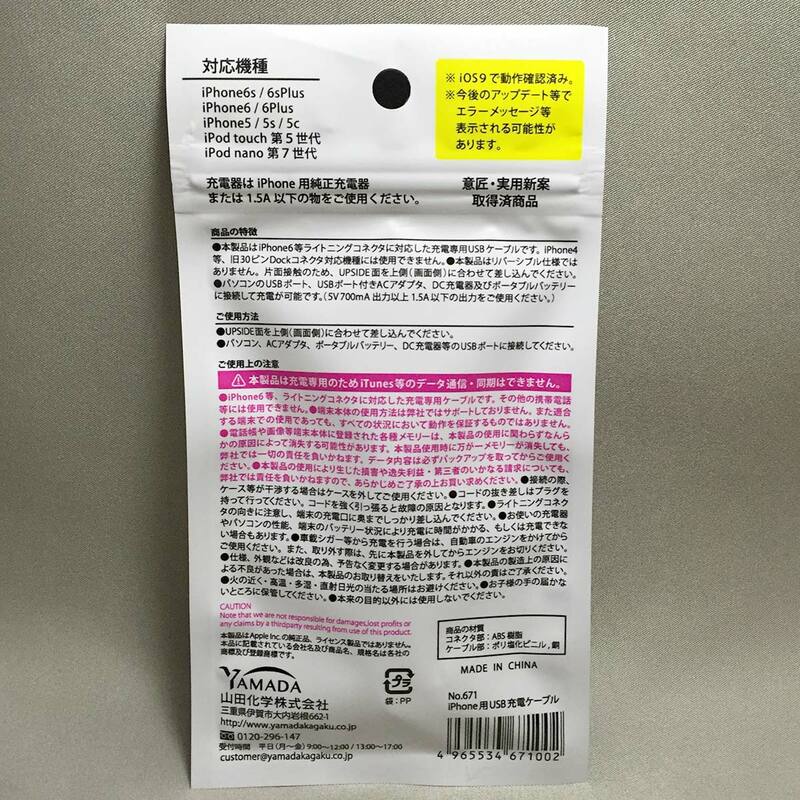 Text on the packaging is in Japanese. Only the Caution text is in English. I love cables, and when I saw this, I had to get it to compare with the Daiso cable. 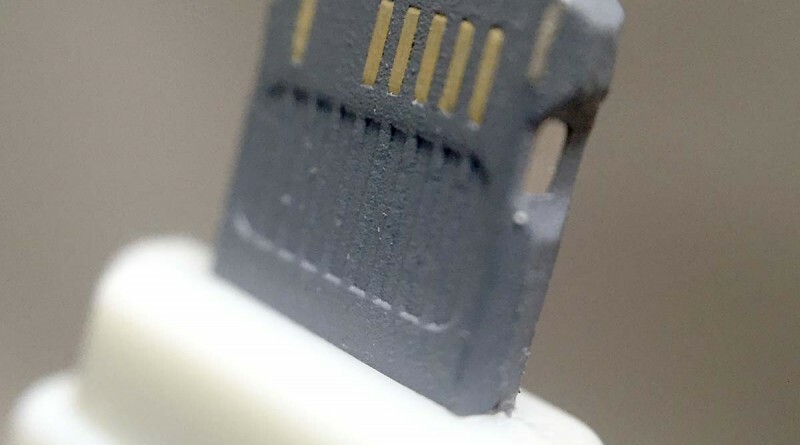 There isn’t much difference, except for the material used on the connector, and the markings being printed on the Can★Do cable instead of embossed. 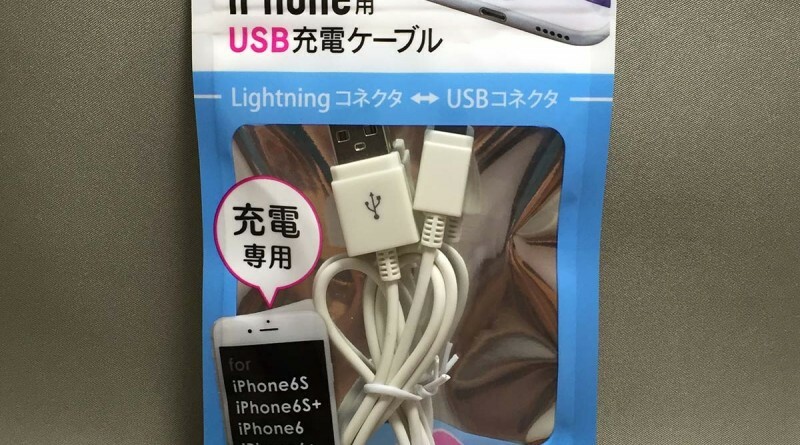 For 100 yen, this cable will probably outlast other third party lightning cables for charging (I have gone through a few already). I have found my devices now displaying ‘This accessory may not be supported’ and not charging. 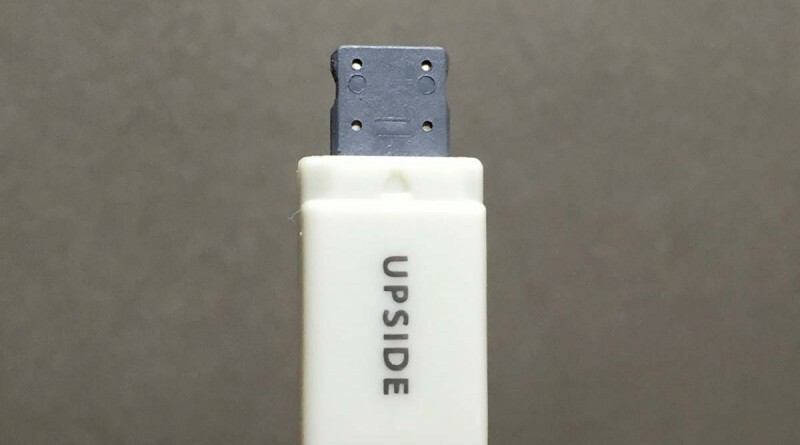 I guess some iOS updates have stopped non-certified cables from charging the device. 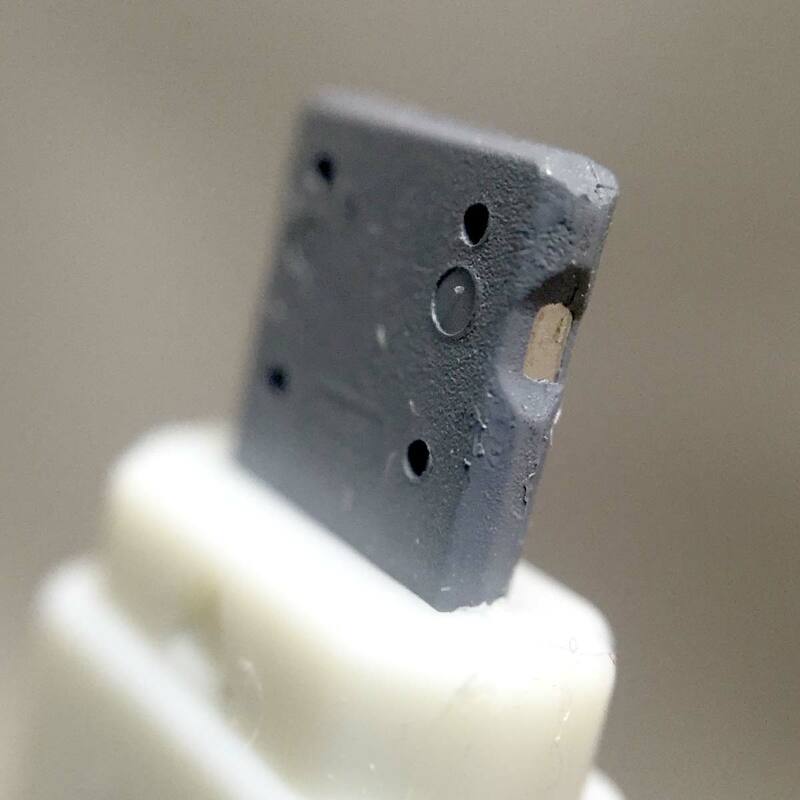 What a shame… was a nice and cheap cable as well.